We know you want a learning environment that offers the best opportunities available. At ReStart Academy, we care about each student and are dedicated to helping all students earn an education that will allow them to succeed. The highly qualified teachers at our sites work with students in small class settings, which allows them to personalize their teaching strategies. ReStart Academy provides educational services for 13–21-year-old students in temporary or involuntary settings, including juvenile justice, substance abuse treatment, mental/behavioral health treatment, hospitals, social services agencies, and other transitional settings. 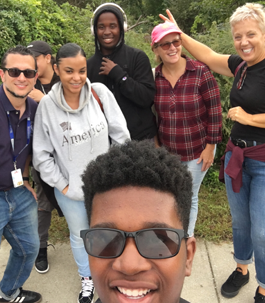 Our partnership with several agencies offers a full range of support services and program offerings that support our students with their individual challenges and goals. For more information, please see the Resources for Students and Parents page. You’re also welcome to contact us. We have locations throughout the city and in upstate New York where students can continue on the path to academic success. The academic program we offer at each ReStart Academy site varies depending upon the student population. ReStart Academy accommodates students on middle school, high school, and high school equivalency tracks. The curriculum for all levels is Common Core-aligned and includes traditional and blended learning instruction. All ReStart Academy students receive comprehensive academic, college/career counseling, and transition planning. Take a look at our sites to determine the best fit for you or your child.